New Media Installation Support by Real Field Art-Tech co., ltd. Weight of Insomnia is commissioned by Chronus Art Center and supported by Lisson Gallery and Beijing ZONHOM Cultural Development Co.,Ltd. Working closely with a group of technologists over a period of one and a half years, Weight of Emotion is LIU Xiaodong’s latest daredevil endeavor venturing into an unfamiliar zone of telematics and computer vision-engendered automation systems. Pushing boundaries of his documentary style of live painting, the artist completely reinvents himself by penetrating into the digital now. Three locations were carefully identified and equipped with video cameras: one near the iconic Bund in Shanghai where humans, cars, buses and bicycles vie with each other to cross street, another monitors the Apple Store in Beijing’s fashionable Sanlitun district where urban sophisticates rub shoulders with novices from the provinces, and a final camera watches a public plaza in the artist’s home town. At dawn or at dusk, the plaza is often enlivened by troupes of elderly people dancing to disco rhymes with a definitively folkloric twist for an aerobic drill. Three large-scale canvases, each 3 x 2.5 meters, are mounted on crude construction scaffolds. A robotically controlled paintbrush jitteringly translates the three discrete, incoming datum captured by the video cameras into contours of buildings, silhouettes of trees, outlines of vehicles, and shadows of human figures. If the canon of live painting is to arrest a fleeing second, to fixate a bygone moment for a rumination on signification, then what LIU Xiaodong’s canvases depict are a multiplicity of instants that are forever fluctuating, generating at each moment a new sediment of emotional residue, overlapped, juxtaposed, concatenated and truncated. It is as if the artist, reincarnated in a robotic consciousness, wrestles through an endless, restless insomnia to piece together an ever-evolving jigsaw of amorphous desires and anxieties, fleeting nightmares and ruptures. LIU Xiaodong thus constructs a new awareness of contemporaneity. In so doing, the artist not only re-assesses painting in the age of internet and algorithm but also makes apparent a new reality that situates itself in the materiality of media informed by data fluxes. 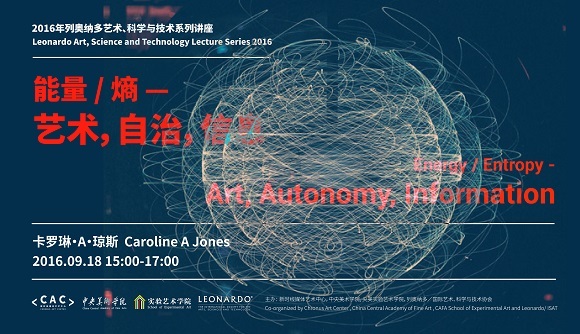 As the first edition of a series of projects under the auspices of Art & Technology conceived and curated by ZHANG Ga, Weight of Insomnia is commissioned by Chronus Art Center, supported by Lisson Gallery and ZONHOM Cultural Development Co.,Ltd.